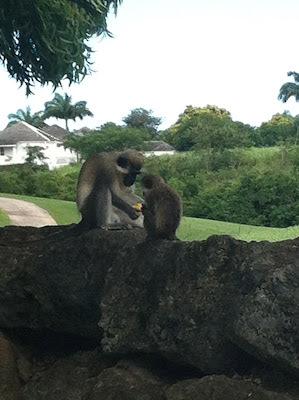 We would see Green Monkeys on the Royal Westmoreland grounds on Barbados almost every day. 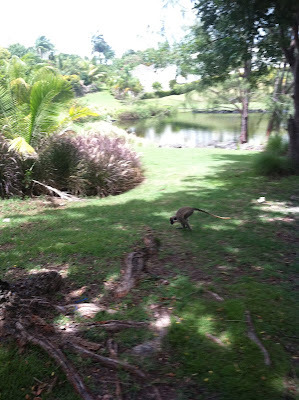 They are difficult to photograph because they move so quickly but I was able to snap a few shots with my iPhone. 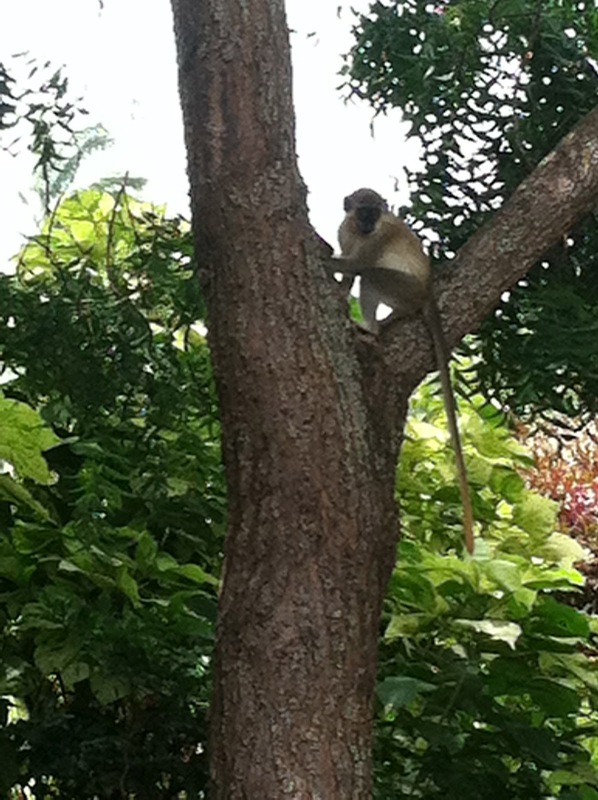 The monkeys do not appear to be afraid of humans but they are cautious and certainly not tame. We were warned by natives to just look - don't touch - and keep a safe distance. 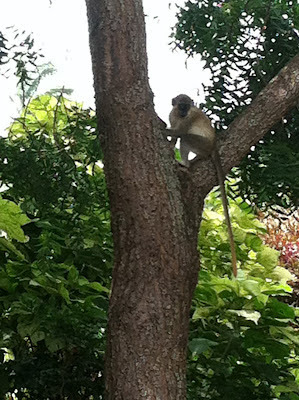 The little creatures hang out in "troupes" of 8 to 60 monkeys! We would usually see about 12 at a time and some of them were tiny babies that clung to their mother's stomach for transportation. The adult monkeys were the size of a small dog and the babies were as tiny as large squirrels. 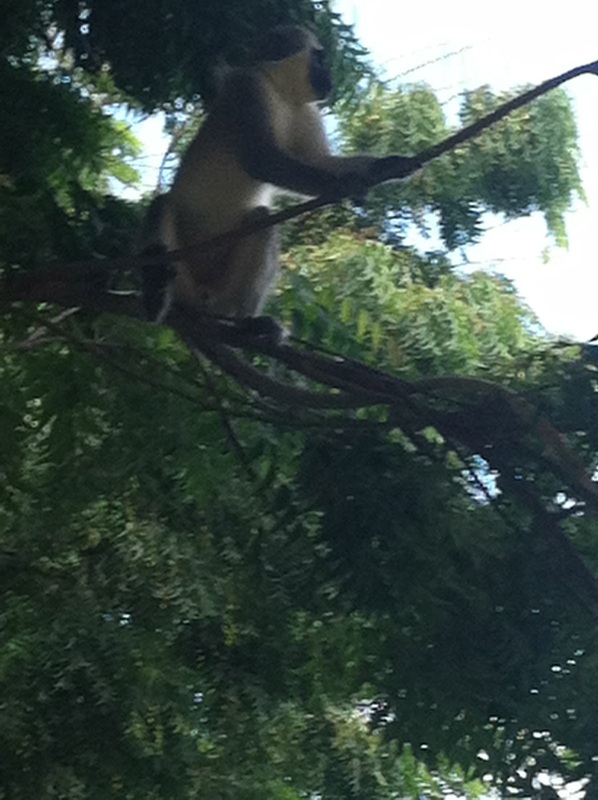 Certainly fascinating to watch.